Sennheiser's unrivaled experience in the fields of acoustics and stage technology is evident when listening to this large-diaphragm, true condenser capsule. 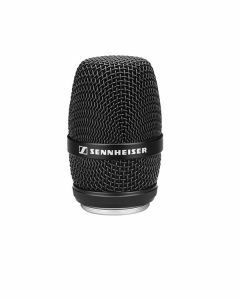 Its powerful, high-definition sound makes it one of the best microphone heads of all time. Due to its dual-membrane technology, the pick-up pattern can be easily switched between cardioid and super-cardioid for extreme versatility. Compatible with all hand-held transmitters from the ew G3, 2000 as well as the Digital 9000 series, it can be installed in seconds without tools.